Being on the clinician circuit is a hoot. 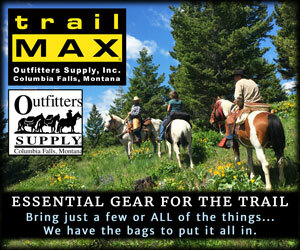 This year I’ve been teaching trail riding and horse camping at expos from coast to coast. One topic that comes up a lot is gadgets. People either rely on them entirely too much or pooh pooh the very idea. I’ll be the first to admit I love the things. They’re groovy. But very few gadgets come along with me on my trips. 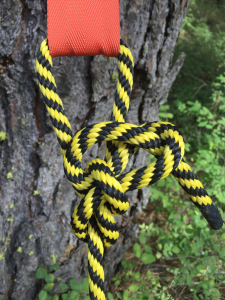 Here’s a few of my thoughts about ropes and gadgets. 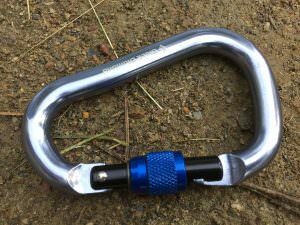 Are you a Knot Purist who sees hardware devices as redundant, a waste of time and weight or are you a Knot Averse rider who avoids knots like the plague or perhaps a Gear Junkie who looks at knots as backward and regressive? All these groups have very valid points and in all practicality none of them are right or wrong. While I’m a fan of knots but I also find a fair number of hardware devices useful. “The right kind of knot to tie is one which you can be certain will hold under any amount of strain, and which you can always undo easily if you wish to. A number of horse riders avoid knots because they perceive them as difficult to learn. A more productive idea might to consider knots as easy to learn but a perishable skill that requires practice. What Knots Should I Learn? 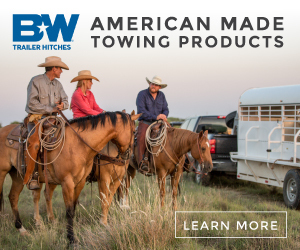 There are many good knots that have excellent uses for horse riders and campers. The following are the basic workhorse knots that I use on a regular basis. Bowline—A great all-purpose knot that I often use when setting up a highline. I use the bowline anytime I need a very secure knot. 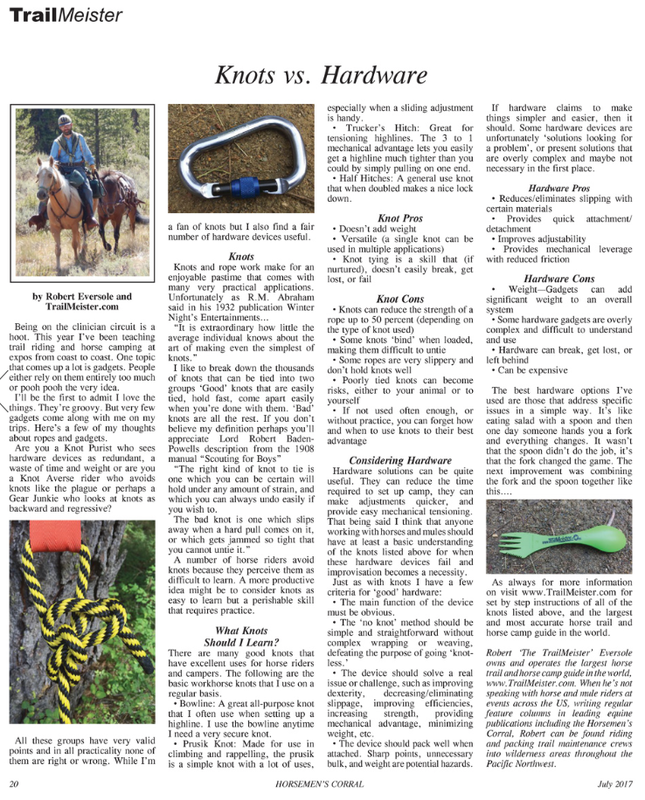 Half Hitches – A general use knot that when doubled makes a nice lock down. Considering Hardware – Hardware solutions can be quite useful. They can reduce the time required to set up camp, they can make adjustments quicker, and provide easy mechanical tensioning. 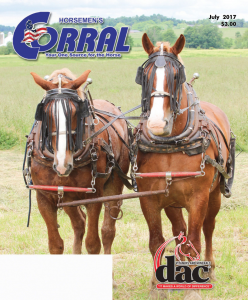 That being said I think that anyone working with horses and mules should have at least a basic understanding of the knots listed above for when these hardware devices fail and improvisation becomes a necessity. If hardware claims to make things simpler and easier, then it should. Some hardware devices are unfortunately “solutions looking for a problem”, or present solutions that are overly complex and maybe not necessary in the first place. The best hardware options I’ve used are those that address specific issues in a simple way. It’s like eating salad with a spoon and then one day someone hands you a fork and everything changes. 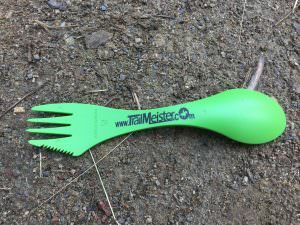 It wasn’t that the spoon didn’t do the job, it’s that the fork changed the game. The next improvement was combining the fork and the spoon together like this…. As always for more information on visit www.TrailMeister.com for set by step instructions of all of the knots listed above, and the largest and most accurate horse trail and horse camp guide in the world.